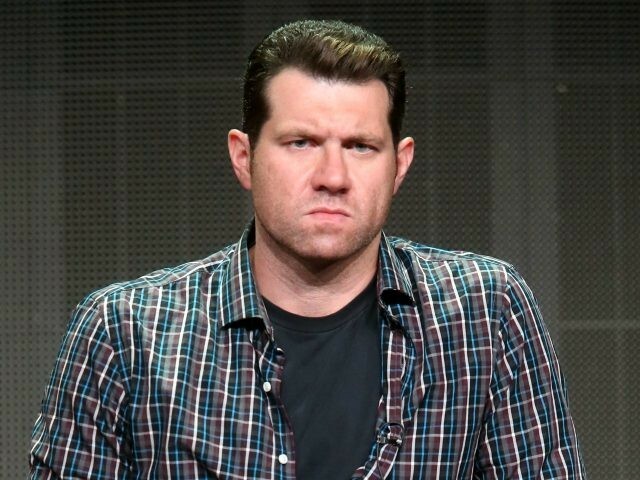 Comedian Billy Eichner jumped to Twitter to call for a campaign of harassment against GOP Sen. Mitch McConnell as the Senate gears up for the coming debate over the next Supreme Court nomination. “Mitch McConnell is a monster and has always been a monster. We need to give him hell every step of the way. Interrupt every meal, and then some,” Eichner tweeted on June 28. Eichner was responding to McConnell’s announcement that he intends to immediately guide the Senate through its duty to “advise and consent” with President Donald Trump over his next pick for the Supreme Court now that Justice Anthony Kennedy has announced his retirement. The Billy on the Street creator joins a growing number of high-profile leftists calling for protesters to harass Republicans and their families and children even in their private lives. To name a few; last week actor Tom Arnold told fans he intended to show up at the New York school of President Donald Trump’s 12-year-old son to harass the boy because Arnold does not like the president’s immigration policies. Actor Peter Fonda also jumped into the fray exclaiming that he wanted Barron Trump to be raped by pedophiles. He also said Homeland Security Kirstjen Nielsen is a “gash” who should be whipped and put in a cage. Fonda then advocated for the wives and children of ICE agents to be attacked in their schools and homes over the president’s policies. On Wednesday, Comedy Central writer Curtis Cook took to Twitter to say that he wished that U.S Supreme Court Justice Anthony Kennedy had been the one assassinated instead of President John Kennedy or his brother, Robert.